We are poor students who waste money on housing and dinner outings, and the odd Amazon purchase. As engineering students, we find we do not have as much time on our hands, so we built this automatic stock market trading tool to invest some of our money on the side without having to follow the daily stock market trends. We created an automatic stock market trading tool by implementing an algorithm based off of “pairs trading strategy” using Alteryx’s API to analyse stock market data from Nasdaq. 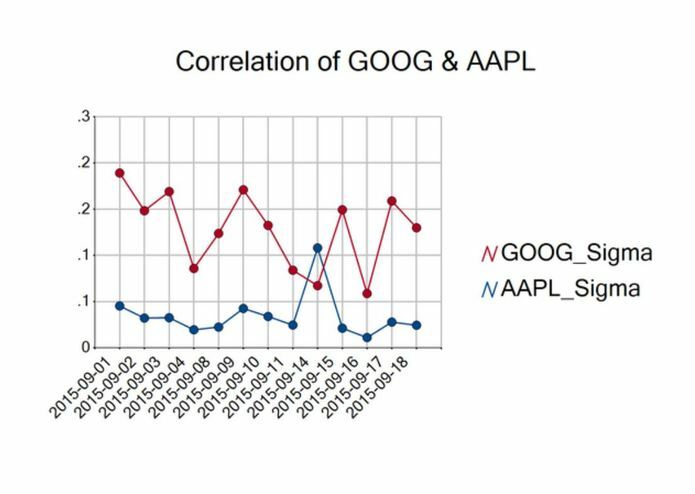 We exported recent stock market data from Nasdaq's Data-on-Demand API into a CSV file for our uses. 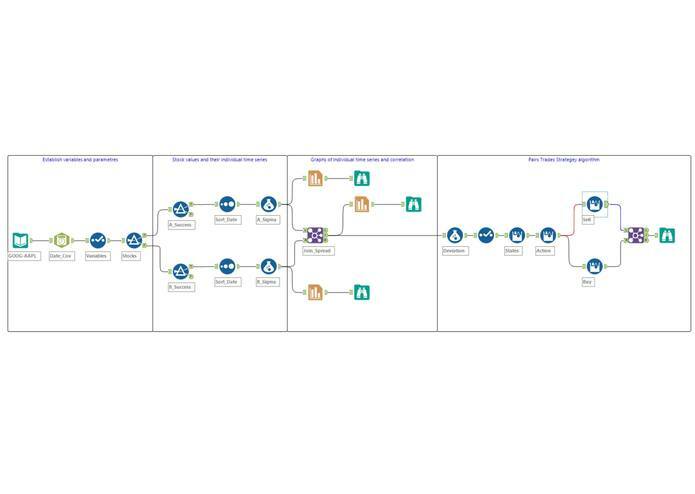 Then we built our "pairs trading strategy" algorithm using Alteryx's API. 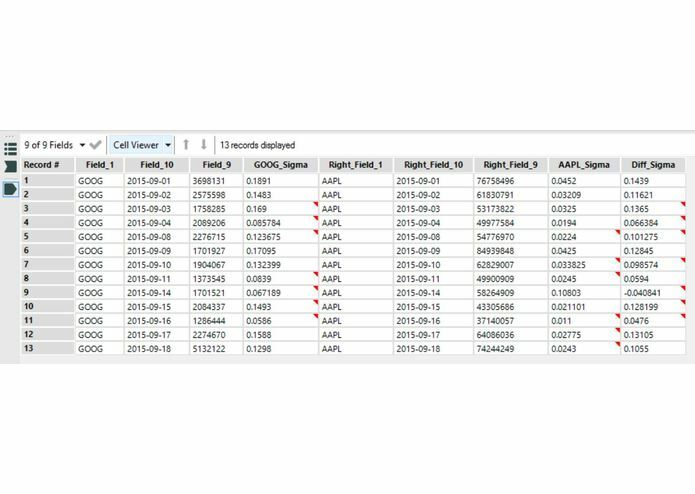 The CSV file gets passed through the API and exports a datasheet that determines when to buy and sell stocks. We incorrectly parsed data which gave confusing output graphs. Also, there were many syntax errors as were we learning how to use Alteryx's API from scratch. Our algorithm correctly works. Coming up with our creative domain name. Being able to integrate multiple company APIs into one useful project. Finishing a project and demoing at one of our group member's first hackathon. Learned how to use a data analysis software within 24 hours. Scaling it to handle larger databases that include historic trends. Calculating how many stocks to buy and sell for each of the trading stocks according to their respective stock prices. A tracking log that shows the amount of money gained.